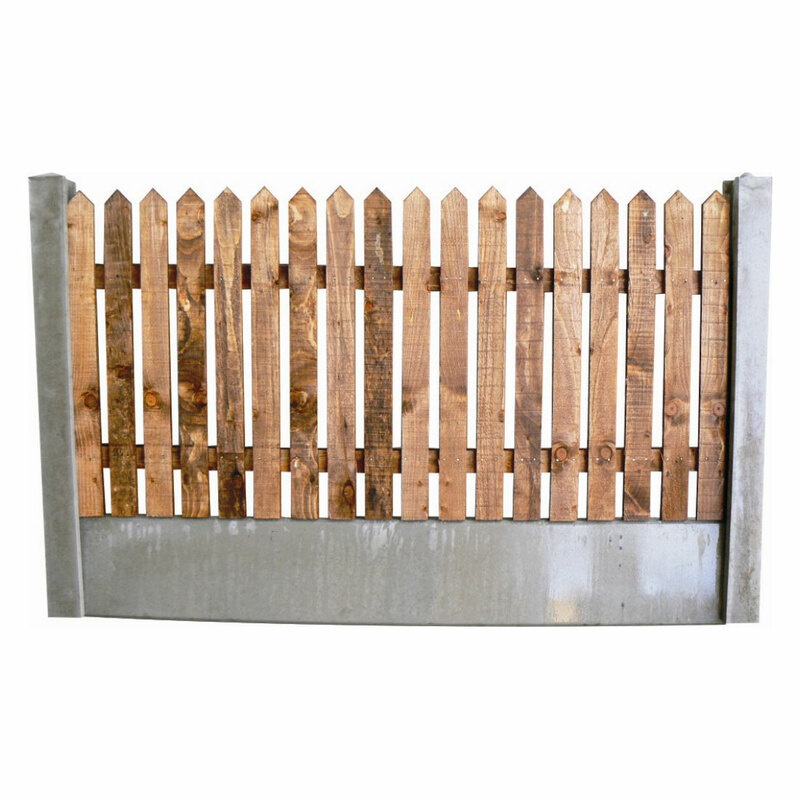 Pointed picket panels are ideal for front garden fencing. Stockist of 6' x 3' &amp; 6' x 2'. All other sizes are made to order. Pointed picket panels are made up from 75 x 19 pointed pales nailed on to 65 x 35 rails. Pales are seperated with a 1" gap. Our pointed picket panels are manufactured at our Manchester depot and are pressure treated brown. If you require further information on our Pointed Picket Panels give sales a call on 01942 720777 or email us on sales@nwtt.co.uk.